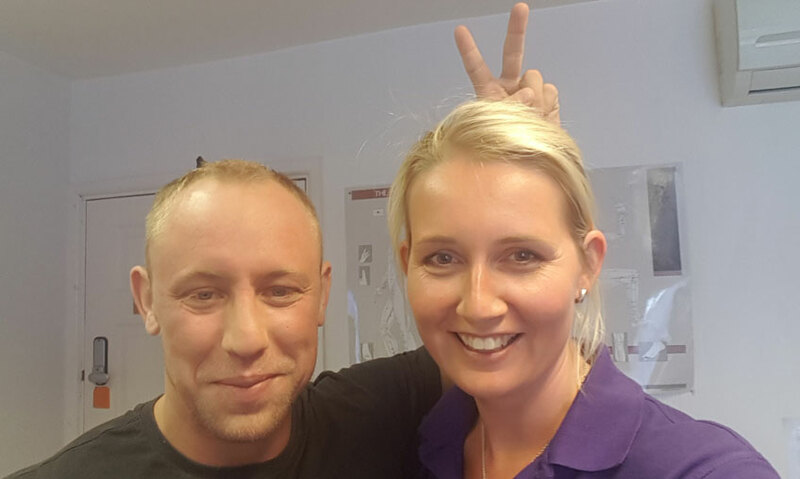 “When I first came to Abbey Physio I had to lie on the waiting room floor, unable to sit, stand or walk. After previously seeing two chiropractors, an osteopath and two trips to A&E, I was left taking a large concoction of painkillers, none of which seemed to make any difference. After only one appointment, Catherine had referred me for an MRI scan for the next day, written a letter of recommendation to my GP for a painkiller she thought would be more beneficial, and made more difference than anyone to my pain. Catherine was confident that I had a herniated L5S1 and the MRI results she got the next day confirmed this, after two doctors and a consultant had insisted that I had simply pulled a muscle. After a few more sessions I had made considerable progress and could actually see an end to lying on the living room floor 24 hours a day. Only 5 weeks on, I am now walking around nearly pain free, sitting up and doing some exercise, and I am actually making plans to return to work within the next few weeks. I felt from the very first session that Catherine actually cared about the impact it was having on not only mine, but my family’s quality of life. She explained everything in so much detail to me and my partner, and her advice on not only how to recover physically and what we could do at home to help, but also how to deal with the strain on home life and the frustration I was feeling. She also explained the side effects of medication and how this kind of pain can affect someone, making it easier for my partner to understand and be more tolerant of my moods and the difficult situation I was in.